Some plumbing problems seem to be more prevalent in the summertime. Here are some of the biggest problems that seem to present themselves in the summertime. Clogged Toilets – Kids are home for the summer which means they will be using the toilet much more than they do during school days. They will inadvertently (or advertently) clog the toilet with too much paper, or even other objects that have no business near the toilet. Solution: You can educate your children on what can and cannot be thrown into the toilet. You can invest in a top notch plunger. Lawn Sprinkler Issues – The sprinklers may be dormant a few months during the winter so when you fire them back up they may be clogged or grown over. It is recommended that you manually clean off the sprinkler heads and inspect any visible parts of the pipes. 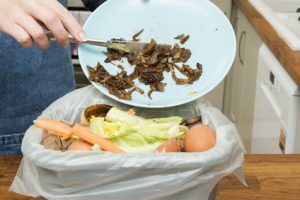 Clogged Garbage Disposal – Summertime means more food around the house. Kids are home, like we mentioned above, and the house is more active with your kids and other people’s kids too. Also, there are summertime BBQ’s and social events taking place. Bones and grizzle can get jammed up in your disposal. The solution is to pay more attention to what goes into the disposal. Also, clean it from time to time and make sure the blades aren’t dull. Backed Up Shower Drain – Getting dirty and showering off can have a cumulative effect on drains. There could be a backup of soap suds and animal fat already forming. Mix in some sand from the beach or dirt that the kids track in and you have a clogged drain. You can call a plumber to have them snake the drain and get it flowing again. Plumbing issues are just a part of life. They will occur and the best thing you can do is preventative maintenance. But when things do malfunction it is a good idea to consult a plumbing professional.